In today’s blog post I’m super excited to share with you my latest discovery (or you could even say my latest obsession) the world’s BEST vegan protein powder you actually want to buy. Here’s something you probably don’t know about me, but when it comes to my food, the ingredients and the quality of the food I’m putting into my body – I’m a total and utter nerd. Well, there are actually a lot of good reasons, but once I started to realize that the food industry, our government, and big corporations are legally able to poison us with synthetic chemicals I quickly realized that the only control I have is to make sure it doesn’t end up in my body (and the bodies of my clients). I’m talking about artificial sweeteners, GMOs, Aspartame, Mercury, Fluoride, Food Additives and all that other nasty stuff that I couldn’t even pronounce properly. In other words, most of the packaged foods and supplements you can buy today are chemical shitstorms and highly addictive. Well, first and foremost I wanted to emphasize how important it is for me to really be 120% sure that everything I recommend goes hand in hand with my values and healthy eating principles. Second, to cut a long story short, it explains why I’ve been looking for an organic protein powder FOR YEARS, as I couldn’t find one single product that wasn’t highly processed, with synthetic fertilizers, hormones, antibiotics and packed with those nasty artificial sweeteners. You can probably imagine how happy I was once I finally found a company I could trust. 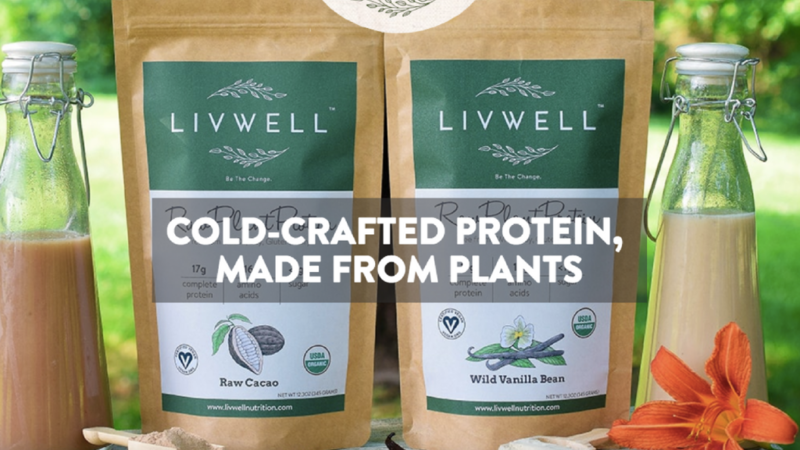 The company is called LiveWell and they produce high-quality plant-based protein products. They are based in the US, but ship worldwide and are really affordable. You can check out the powder here. It’s important to note that not everybody needs to supplement protein powder, especially if your diet is already rich in high-quality protein, but if you’re working out regularly and / or lifting weights you may find that taking a protein powder supplement helps you maximize fat loss and muscle gain. I also highly recommend this protein powder to my vegan and vegetarian clients who struggle to meet their protein needs with food alone. 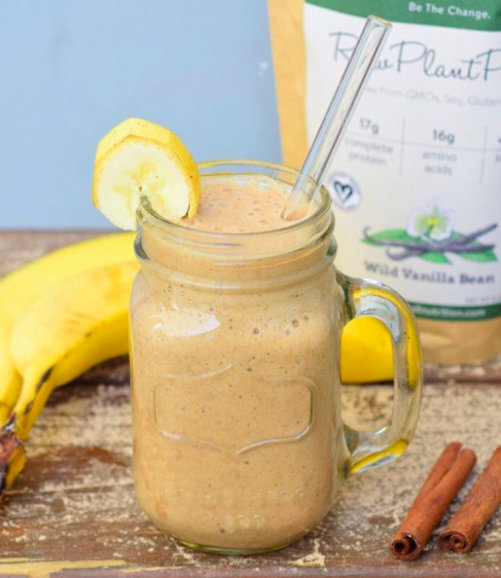 There are many delicious ways to boost your protein intake with your meals, but one of my most favorite one is my delicious after workout protein shake (vegan)! ☞ Put all ingredients in your blender, mix and enjoy! Tell me, are you already using a protein supplement? Do you like it? Please leave a comment down below! I'd LOVE to hear from you!